Russia’s Space Forces are to modernize and again use an old radar station in Sevastopol, Crimea, part of Russia's missile attack warning system until 2009. The station to be fully operational and providing data to the Russian military in 2016, Space Forces commander Lt. Gen. Aleksandr Golovko announced on Saturday. He added that the station requires an upgrade of several engineering systems and brand new computer equipment. 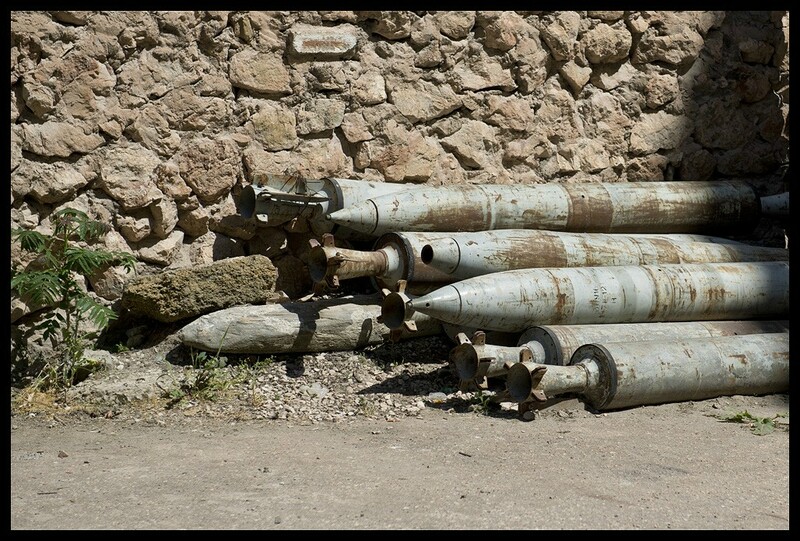 Looks like missiles from a short MRLS like system. I don't think so; there is no sign of guidance. It says on the missile "3ПУ16" used google and no results used yandex and result. 3ПУ16 240mm Training active/reactive "mine" Not quite sure what system but seams to be for TOS type like or anything like that. 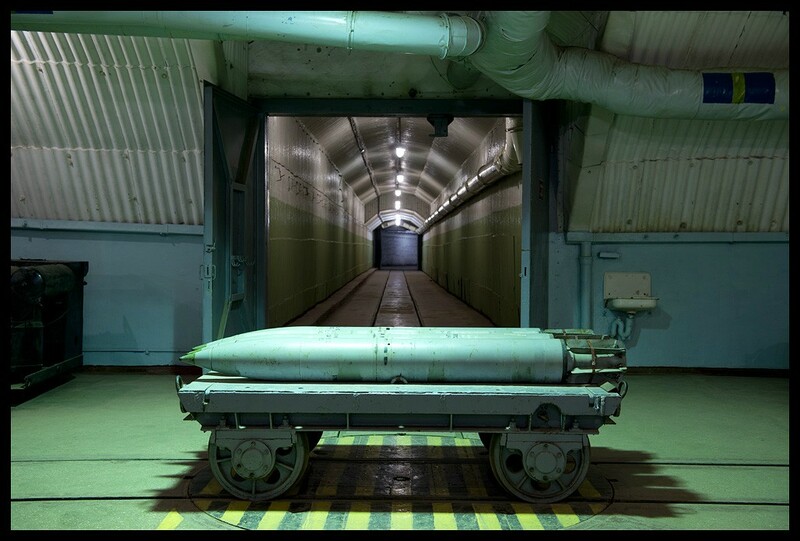 Werewolf wrote: It says on the missile "3ПУ16" used google and no results used yandex and result. The site you found apparently says it's for the M-240 and 2S4 mortars. Well was then wrong with 2nd claim TOS like...was fooled by Active/Reactive which is also used for thermobaric weapons on TOS to describe weapons it uses. In this context, the Russians use the term active/reactive to refer to rocket-assisted projectiles. The Belbeck airfield and other bases would need major refurbishment if the videos showing them are correct. They looked really bad and not maintained, and that probably is the case for almost every military base in Crimea that russia took control over. What about the NITKA carrier training system? Last i heard from 2013 and on russia was using a new training facility in Eisk on the Sea of Azov coast of Russia’s Krasnodar Region. They have been spending money on airfields throughout Russia over the last decade or so to upgrade them after years of neglect... I suspect they have plenty of expert knowledge regarding upgrading systems and equipment and should have no problems there. Regarding Nitka, I suspect they will likely use both facilities.. the new setup likely more sophisticated, but the facilities in Nitka more suited to simulating the systems on Kuznetsov. there is potential for renting out Nitka to the Chinese to train their naval pilots or perhaps offer to India the chance to rent it for training their naval pilots. Hi all, i was wondering two things 1). what is the current Russian equipment numbers are in Crimea? I believe some Ukrainian equipment was kept and some sent back. Also i believe Russia have stated they are looking to increase presence there, 2). does anyone know what kind of equipment is being sent their? I think there is at least a S-300VM battery, Bastion coastal defence, Pantsir, and Ka-52. Not wanting to be cheeky, but all the military equipment in government hands in the Crimea is now Russian. GarryB wrote: Not wanting to be cheeky, but all the military equipment in government hands in the Crimea is now Russian. I understand that gary but some equipment was returned, and now in Russia's hands they may have sent more to bolster what was already there. 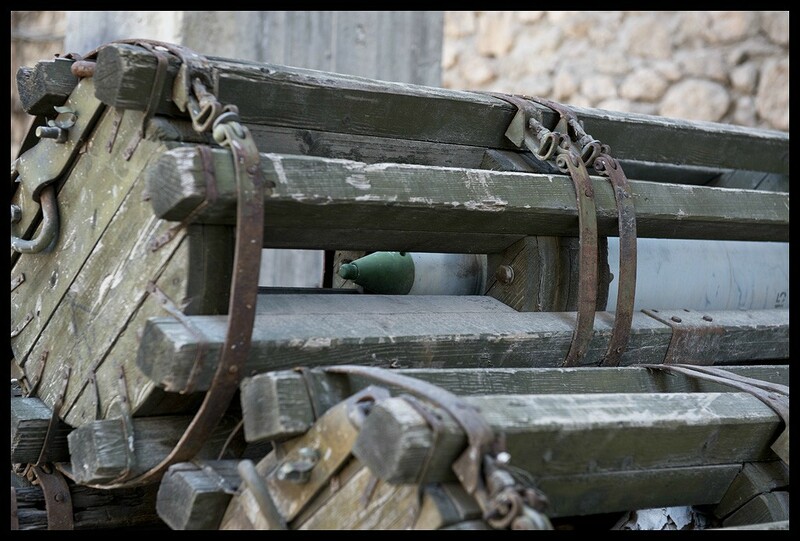 But no figures have been reveal as to what was sent back to Ukraine and what the current levels of equipment are. On March 16, 2014 the Republic of Crimea held a referendum on the future of the peninsula. An overwhelming majority of its people voted for reunification with Russia. Russian Defense Minister Sergey Shoygu paid a visit to Crimea on March 24, 2014. He inspected several of the Black Sea Fleet’s facilities and barracks, met those of the commanders of former Ukrainian military units in Crimea who had expressed their wish to serve in the Russian armed forces, and discussed the work of the fleet’s social infrastructure with the Crimean and Sevastopol authorities.3 In essence, this was a reconnaissance trip by the minister before making important decisions on how to provide security for the new Russian provinces. The top issue on the agenda was the future of the military units and servicemen of the Ukrainian Armed Forces stationed on the peninsula. As of March 2014, there were about 200 units of the Ukrainian MoD and other uniformed agencies in Crimea, with approximately 18,800 servicemen (including 11,900 in the Ukrainian Navy, 2,900 in the Ukrainian Air Force, and 4,000 in other branches of the Ukrainian uniformed agencies). Swear allegiance to Russia and join the Russian Armed Forces. In accordance with a special Russian federal law, these servicemen would retain their military rank, their military education diplomas would be recognized, and they would have the full rights of Russian military servicemen. Retire from the armed forces but continue to live in Crimea. Return to mainland Ukraine and continue service with the Ukrainian Armed Forces. The top Russian leadership decided that all the military hardware of the former Ukrainian units in Crimea should be returned to Ukraine. In April Russia returned almost all armored vehicles, but on April 15 the handover of weaponry to the Ukrainian Army was suspended because of the civil war that had broken out in southeastern Ukraine.13 The handover of aircraft and ships continued until June 17, where upon Ukraine unilaterally suspended that process.14 By that time Russia had already returned 43 out of the Ukrainian Navy’s 72 ships formerly stationed in Crimea, and most of the aircraft. The rest of the assets remained in Crimea. To review the previous Black Sea Fleet development plans through 2020; those plans centered on building new base infrastructure in Krasnodar Krai and stationing the newly-built ships and submarines in Novorossiysk. To deploy a proper combined-services force in Crimea. To add the Ukrainian army’s Soviet-era infrastructure in Crimea to the Russian MoD’s balance books and decide what to do with it next. The former Southern Naval Base of the Ukrainian Navy in the Novoozernyy village (Lake Donuzlav), which was known as the Crimean Naval Base of the Black Sea Fleet up until 1996, has been restored to its former status.15 The Black Sea Fleet has yet to announce which of its ships will be stationed there.16 One possible candidate is a unit consisting of new Project 22160 patrol ships that are now being built (Vasiliy Bykov class, with up to six ships to be built). Following the launch of deliveries of new Project 06363 (Improved Kilo class) submarines in late 2014, the submarine detachment (division) that is now part of the 68th Coastal Waters Protection Ships Brigade in Sevastopol will become an independent 155th Submarine Brigade with based in Novorossiysk. The Black Sea Fleet’s Coastal defense troops have been substantially augmented through the incorporation of former Ukrainian Navy units and the creation of new units. A SAM regiment that was previously part of the 810th Marine Brigade of the Black Sea Fleet has been transformed into an independent 1096th SAM Regiment. It is equipped with the Osa-AKM (SA-8B) SAM systems. The fleet’s 758th Supply and Logistic Center has incorporated about 15 new units. The center is responsible for the provision of ammunition, fuel, supplies, and food; transportation of military personnel; and refurbishment of weapons and hardware. 29 It operates all of the Black Sea Fleet’s supply and logistic assets in Crimea. The 43rd Aviation Regiment will soon begin to replace its aircraft with new Su-30SM multirole fighters made by the Irkut Corporation. The first three planes are now being used to train the regiment’s pilots at the 859th Naval Aviation Pilot Training Center in Yeysk. Another two aircraft are to be delivered in the coming months, and a further seven have already been ordered. The first squadron of the 43rd Regiment will be rearmed with the Su-30SM fighters in 2015. The rest of the regiment will be rearmed in 2015-2016, when another 12 fighters are expected to be delivered. 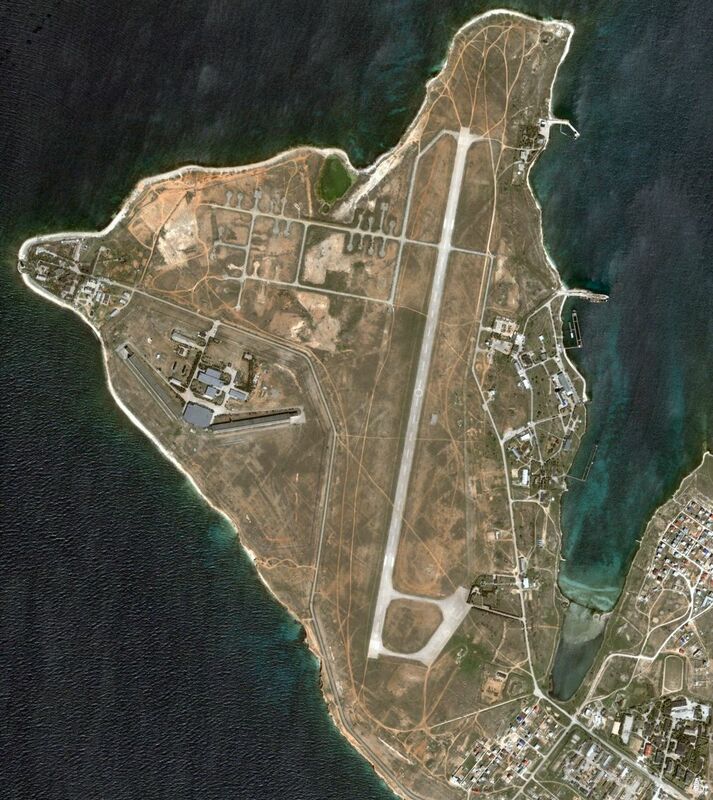 The Naval Aviation Command has also decided to restore the airfields in Khersones (Sevastopol), Donuzlav, and Saki. These airfields’ runways will be refurbished, and control towers equipped with modern hardware. The Russian Air Force is also setting up new regiments in Crimea. A new combined aviation regiment armed with Su-24M tactical bombers and Su-25SM attack aircraft is being deployed at the Gvardeyskoye airfield. The aircraft and personnel will probably be supplied by aviation regiments from Morozovsk and Budennovsk.35 A new fighter aviation regiment (which will probably be designated as the 62nd) is being deployed at the Belbek airfield. It will be armed with Su-27SM3 and Su-30M2 fighters. The aircraft and personnel will be supplied by the 3rd Combined Aviation Regiment in Krymsk, Krasnodar Krai The new regiments will be subordinated to the 4th Air Force and Air Defense Command of the Southern Military District. There have been several media reports suggesting the possibility of Long Range Aviation units armed with Tu-22M3 long-range bombers being deployed in Crimea. During the Soviet period the Black Sea Fleet aviation regiments armed with these aircraft were stationed at three Crimean airfields: Veseloye, Oktyabrskoye, and Gvardeyskoye. During the post-Soviet period, however, the territory of the Veseloye airfield was repurposed as a poultry farm, and the runways of the Gvardeyskoye and Oktyabrskoye airfields have not been maintained well enough to use them for such heavy aircraft as the Tu-22M3. Nevertheless, the Russian Air Force command has expressed its intention to refurbish all the airfields it wants to use. We expect that the Army Aviation service of the Russian Air Force will also set up a helicopter base in Crimea. The Primorskiy village near Feodosiya has hosted a naval aviation testing center since Soviet times. After Ukraine’s independence the facility became a National Aviation Research and Development Center. Almost all of the facility’s personnel have sworn allegiance to Russia, and the Primorskiy facility will be incorporated into the Russian military aviation testing center in Akhtubinsk. In fact, it was a division of the Akhtubinsk testing center prior to 1992. Assets and personnel of the former Ukrainian SAM regiments and radar units are now being used to set up new Russia aerospace defense units that will be subordinated to the 4th Air Force and Air Defense Command.37 The Gvardeyskoye airfield now hosts a new SAM regiment armed with S-300P (SA-10B) SAM systems, supplied by one of the Moscow air defense units, that has been rearmed with the latest S-400 (SA-21) systems. At some point in the future the Russian air defense forces in Crimea will be merged into the 15th Aerospace Defense Brigade. Other reports claim that the command of one of the Aerospace Defense brigades will be relocated to Crimea from elsewhere in Russia. In late 2014 the Black Sea Fleet will begin to receive new ships ordered as part of a fleet refresh program adopted in 2010. Under earlier plans these new ships were to be based in Novorossiysk because Ukraine refused to allow their stationing in Sebastopol. Now, however, that is no longer necessary. In 2014-2017 the Black Sea Fleet will take delivery of six Project 06363 conventional submarines that are now being built at the Admiralty Shipyards in St Petersburg. In late 2014 the fleet will receive the first boat Novorossiysk, which entered into service with the Russian Navy in August. It will be followed by Rostov-on-Don, Staryy Oskol, Krasnodar, Kolpino, and Velikiy Novgorod. These submarines are armed with the Kalibr (SS-N-27A and SS-N-30) cruise missiles system. Several of the fleet’s ships and boats are now undergoing repairs and upgrades. Medium-grade repair and upgrade of the fleet’s flagship Project 1164 Moskva guided missile cruiseris scheduled to begin in 2016. Under earlier plans, the ship was to be repaired at the Zvezdochka shipyard in Severodvinsk once the facility completes the repair of the Moskva’s sister ship, Marshal Ustinov. Now, however, there is a possibility that Moskva will be repaired in Sevastopol at the comprehensive ship repair center that is now being set up at the No 13 Ship Repair Plant and the Sevastopol Maritime Plant. 44 The fleet’s Alrosa submarine (Project 877V) is currently undergoing repairs and upgrades. Two old Project 1135 (Krival class) frigates Pytlivyy and Ladnyy, were restored to operational readiness in 2014. There are also plans to repair Kerch, an old Project 1134B (Kara class) large anti-submarine ship. Several of the ships that belonged to the Ukrainian Navy still remain in Crimea; their handover was suspended in mid-June. The largest of them are Project 775 (Ropucha class) Kostyantyn Olshanskyy large tank landing ship; Slavutych command ship; two Project 1124M (Grisha V class) anti-submarine corvettes Ternopil and Lutsk, and two project 266M (Natya class) ocean minesweepersCherkasy and Chernihiv. These ships are now flying the Russian naval flag. The Russian MoD has repeatedly said that it has no interest in keeping these ships. The question is whether they will actually be returned to Ukraine in view of the ongoing civil war in that country. Besides, the Ukrainian authorities seem to have largely lost interest in them because Ukraine does not have enough financial resources, personnel, or bases to operate them. Clearly, the Russian Navy could make use of some of these ships. The most likely scenario, however, is that they will not be used by the Black Sea Fleet for political reasons, and will be scrapped after long years of sitting idle at their bases. Another important event was the return of the Admiral Nakhimov Higher Naval School to the Russian Navy’s fold. In 1992 the facility became the Ukrainian Naval Academy. In Soviet times it was one of the country’s main Navy schools. Because of the ongoing civil war in the Donbass region of Ukraine and Kiev’s territorial claims to Crimea, Russia is forced to maintain a large number of ground troops and airborne assault troops in northern Crimea. There are several battalion tactical groups near Armyansk, Krasnoperekopsk, Dzhankoy, and other areas. There are good reasons to believe that at some point in the future Russia will redeploy to northern Crimea several Army formations (a motor rifle and machine-gun/artillery brigade), or create new brigades for that purpose. There are two Russian provinces, the Kaliningrad exclave and Kamchatka, where the MoD has set up an integrated force led by the Navy (the Baltic Fleet and the Pacific Fleet, respectively). These territories had previously hosted large forces of the Army, the Air Force, and the Air Defense service, including HQs. Also, back at that time Russia had no territorial problems with neighboring countries. The Black Sea Fleet, meanwhile, did not have ground troops, aviation, or air defense forces of anywhere near the same size. Now Russia has a grave territorial problem with Ukraine, which has refused to recognize Crimea’s new status as a Russian province. This is why the Russian military leadership has decided to create a self-sufficient combined-services force on the Crimean peninsula, but not to subordinate it entirely to the Black Sea Fleet. It cannot be ruled out, however, that if the situation in Ukraine becomes less volatile, the combined-services force in Crimea will become part of the Black Sea Fleet. The fleet itself will become significantly more capable over the coming years. It will be able to handle most of the naval operations in the Indian Ocean and the Mediterranean. Now that Crimea is part of Russia, the Black Sea Fleet plays a bigger role in Russian defense arrangements. One indirect piece of evidence is the promotion of the fleet’s commander; on May 5, 2014 Vice Admiral Aleksandr Vitko was promoted to Admiral. hi thanks for the information very informative, and thanks Franco for the in depth information. I was in Crimea at the end of March 2014, I had travelled from Kiev, the Ukrainian border troops weren't as professional as the Russian troops, it was interesting seeing Crimea in its transition, all the ATM's were empty waiting for the roubles to arrive, and the time was changed to Russian time and prices were in roubles and Hvrina. The BSF will recieve new ships this year, along with one or two Grigorovich and two 636.3 subs they will also get two new Buyan corvettes. I expected that, didnt belive all those Buyans would serve in the Caspian sea. This is good news as the old Tarantula ships are close to retiring. "According to the source, it's expected that at least one Project 1135.6 top-of-the-line frigate, the Admiral Grigorovich, will enter service in 2015. The second vessel of the project, the Admiral Essen, is being constructed at the Yantar shipyard in Kaliningrad. Trukhachyov reminded that a total of six ships of that class are going to be built for the Black Sea Fleet in the coming years. Besides, the fleet is expected to receive two small-size missile ships, the Zelyoniy Dol and the Serpukhov, whose construction is being finalized at the Tatarstan-based Zelenodolsky shipyard. Two new Project 636.3 diesel-electric submarines, the Novorossiysk and the Rostov-on-Don, are also expected to be commissioned by the fleet." Not too sure Admiral Essen will make it in time this year. Good to hear about the corvettes being confirmed. The BSF is on its last legs. Any ships will help. Kerch is up for scrapping. And this is expected, what about the crews, already at Yantar training on Grigorovich? "On 4 November 2014 a fire broke out aboard the ship during a routine servicing in Sevastopol. According to officials nobody was injured and the fire was contained to the ship's aft. However, in December 2014, officials decided that the ship would be scrapped due to repairs being considered too expensive."